1. Download rakkup from the Apple App Store here. 3. 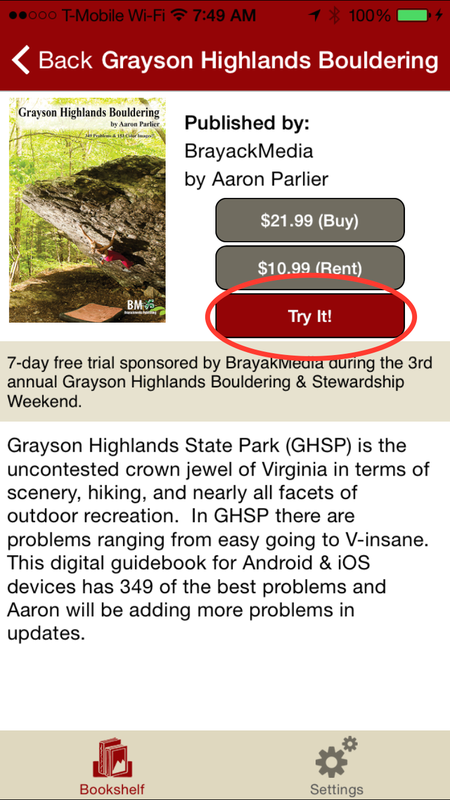 Tap on the Grayson Highlands in the Available Guides section of the Bookshelf. 4. Tap the 7-day trial button. 1. Download rakkup from Google Play. 3. Tap on the Grayson Highlands row in the Store. 4. Tap the Try it button.